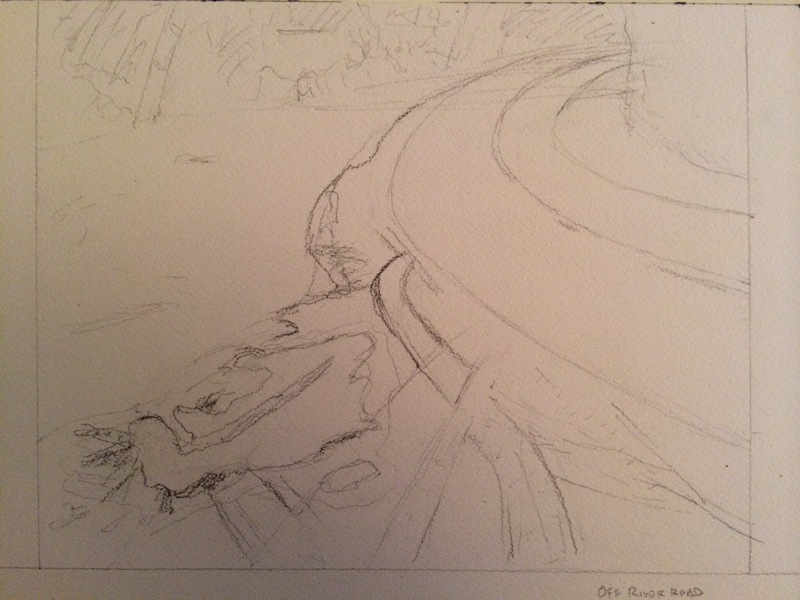 I have missed painting so I am trying to give myself a head start by drawing out two compositions at once. The first is the view of River Road out past Potomac, MD. I liked the light in the puddle, the crisscrossing tire tracks contrasting with the smooth bend in the road, and the light of the evening. I hope I can do these justice in watercolor. With this I was also interested in working with a less conventional composition, looking down rather than forward. Sargent has some like this. Makes for an interesting look at a space. The second is an atypical view of the Design District in Annapolis. 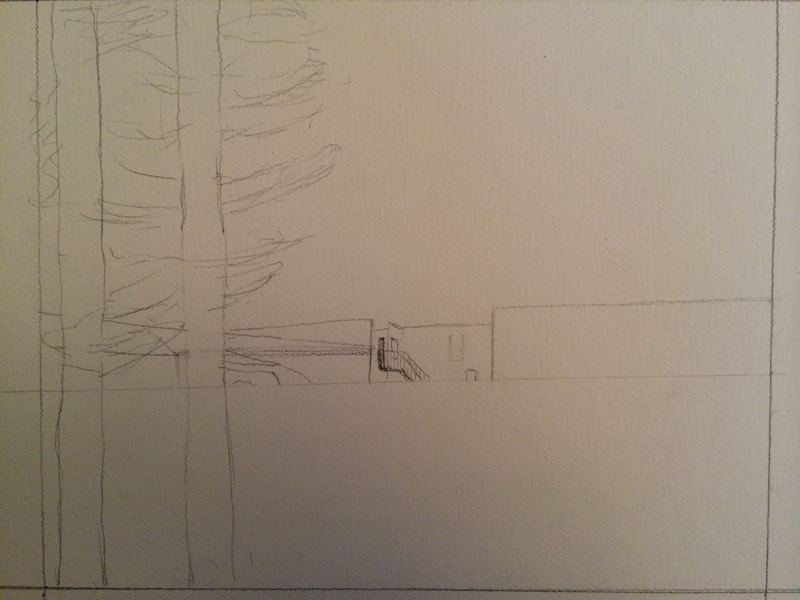 Though a simple geometric composition in pencil, there will be an incredible sunset over the warehouse building. Here I like the idea of looseness and structure working together. With the second I am also going to try out Fluid watercolor paper. I got a block along with an Escoda Prado #8, but haven’t yet tried it. Much cheaper and smoother than a block of Arches. I wonder how it will perform.